Framework Consultant for Environmental Advisory and Support Services. 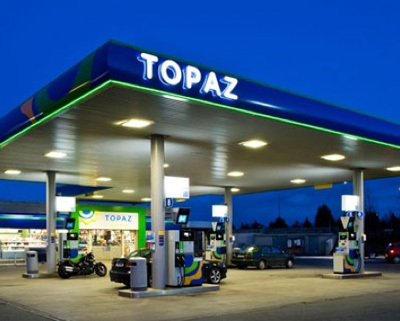 With over 330 service stations across the country, Topaz is Ireland’s largest fuel and convenience brand. Topaz transport, store and trade hazardous and dangerous products across an extensive property portfolio. Their daily operations involve risks, whether natural, man-made or operational which require the implementation of risk management actions. Developed an environmental standard for implementation across the business. The aim of the work was to standardise their approach to environmental risk across the business and assist key decision makers in determining actions required to protect the environment and the Topaz brand. Reviewed the risk profile of the entire property portfolio. Key outputs included recommendations for risk management actions. The information was also used to assist budget allocation for upgrade works. On an on-going basis Verde provide immediate response support to Topaz on pollution incidents. The role includes developing action plans, liaising with regulators and other affected third parties. On an on-going basis Verde provide environmental due diligence services during the leasing, acquisition and divestiture of properties. This can include the completion of DQRA assessments. Verde have also advised Topaz on remediation options proposed by remediation contractors and the cost competitiveness of the proposals.